Are you looking for an easy way for students to share work during student-led conferences? 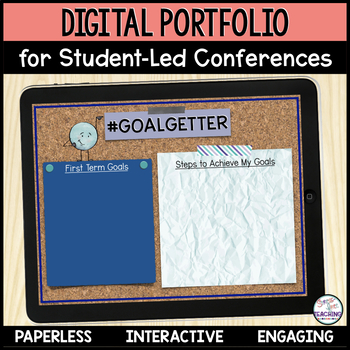 This digital portfolio created for student-led conferences is the answer you have been looking for! This resource was designed to be used with Google Slides. 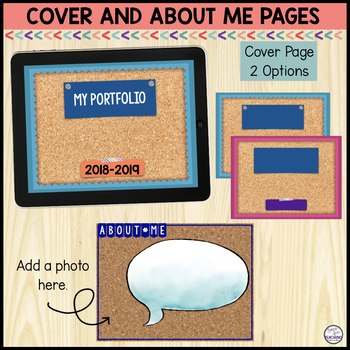 Students will add text, insert pictures, and create hyperlinks to develop a digital portfolio. 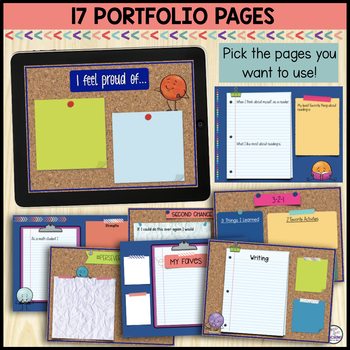 Digital portfolios are easily shared during conferences. Student pages - Many options - Check out the preview! 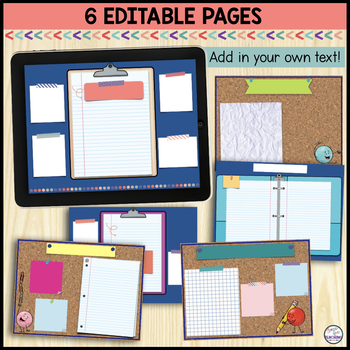 6 editable pages - Please note that only the text is editable. Background images are not editable.